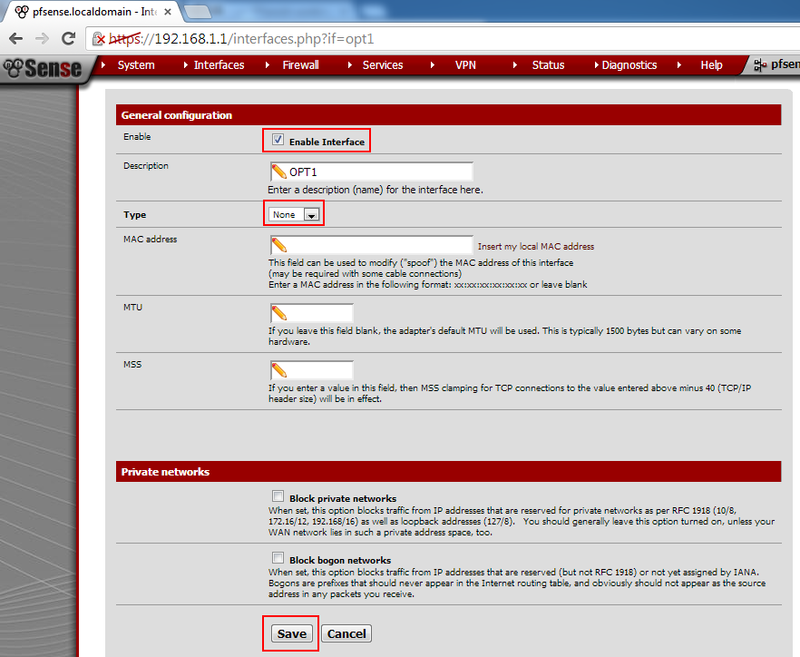 I decided to put together a step-by-step guide on how to connect pfSense to the IPVanish VPN service. 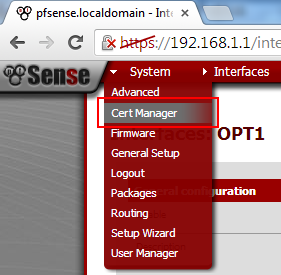 This guide assumes that you've already configured your LAN / WAN interface and the other basic pfSense settings. Much thanks to xbipin for providing the changes to make this work! 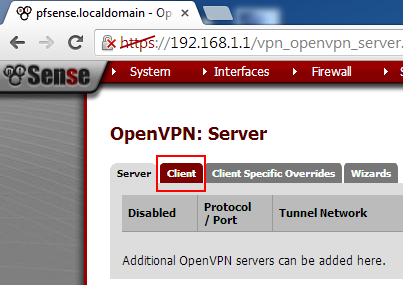 This guide only covers routing all of your traffic out the OpenVPN tunnel. I'll try and document the selective traffic routing steps whenever I have time…it's a bit more complicated and involves a lot more screenshots. If you have difficutly following this guide, see a typo, or think something I've documented is totally bogus, PM me and I'll make corrections! THIS GUIDE HAS BEEN UPDATED! PLEASE RE-READ ALL STEPS! 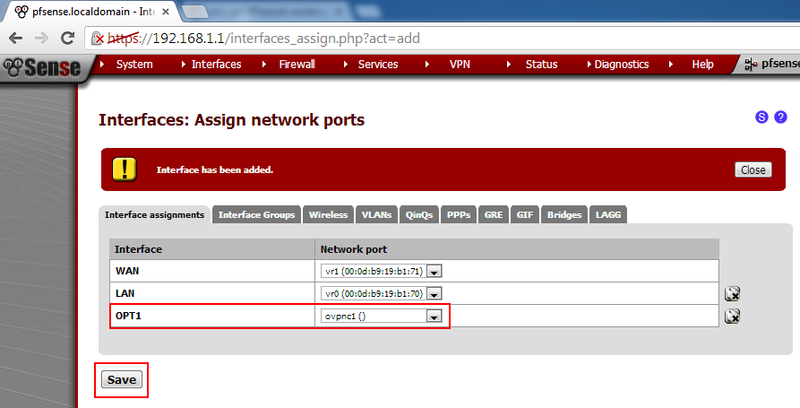 Step 1: Select "Interfaces" and then click "(assign)"
Step 3: Make sure you see an interface labelled "OPT1" with "ovpnc1 ()" as its Network Port, then click the "Save" button. 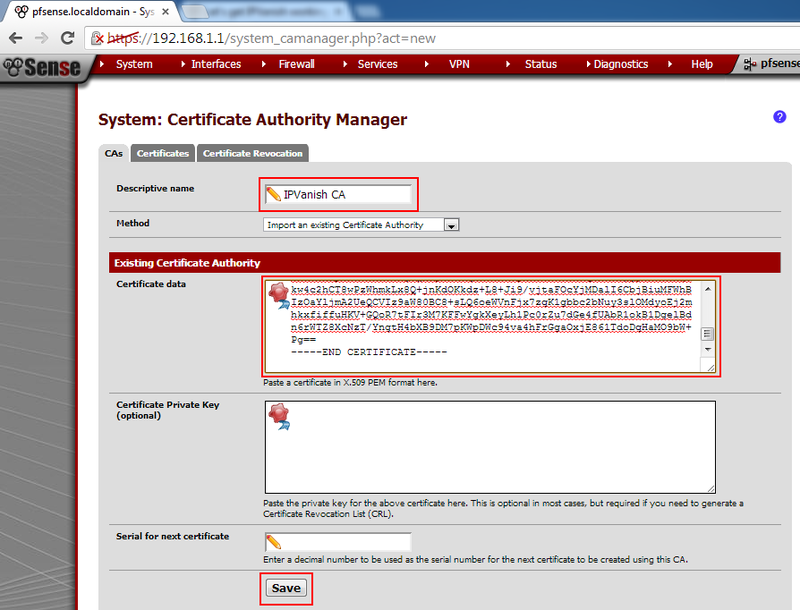 Step 1: Select "Interfaces" and click "OPT1"
Step 2: Check the checkbox "Enable Interface" under "Enable"
Step 3: Select "None" for "Type"
Step 1: Select "System" and click "Cert Manager"
Step 1: Select "Diagnostics" and click "Edit file"
Step 3: On the first line, enter your IPVanish username and press "Enter"
Step 4: On the second line, enter the password for your IPVanish user and press "Enter"
Step 1: Select "Firewall" and click "NAT"
Step 1: Select "VPN" and click "OpenVPN"
Do not change any values except for the ones mentioned! Step 5: Enter "443" for "Server port"
Step 6: Check the checkbox "Infinitely resolve server" under "Server host name resolution"
Step 8: Uncheck the checkbox "Enable TLS authentication of packets." 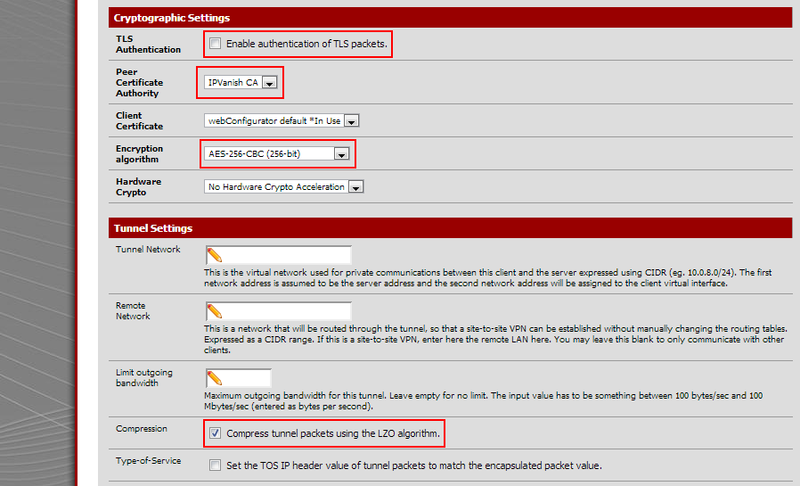 under "TLS Authentication"
Step 9: Select "IPVanish CA" for "Peer Certificate Authority"
Step 10: Select "AES-256-CBC (256-bit)" for "Encryption algorithm"
Step 11: Check the checkbox "Compess tunnel packets using LZO algorithm." If you did everything correctly, OpenVPN should establish a connection to the IPVanish server. All of your traffic will now be routed out the OpenVPN connection. Have you make the tutorial for the selective routing steps ? I'm very lookin for this kind of configuration. Can you redirect me somewhere ? 2.2 has username and password in the GUI so the auth file is not required any more, I think. Works for me on VPNBook, at least. i tried to follow the guide but found a fail. 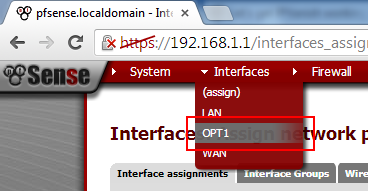 using 2.2.1 and interfaces assign doesn't have any dropdowns/or add to add the opt1 interface. If there are no unassigned interfaces there is no add button. Same problem here. ovpnc1 is not available in the dropdown list. 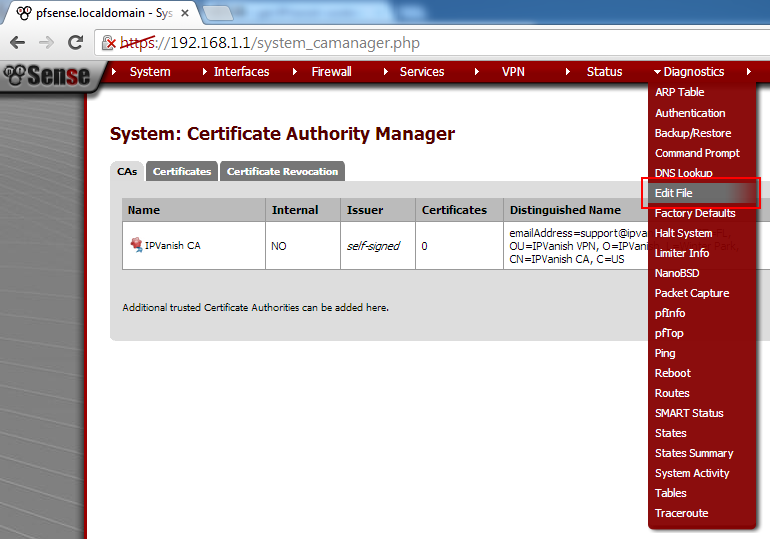 You have to create the openvpn client BEFORE creating the OPT1 interface. so i got it to work but when i go and check my ipvanish ip on my browser it's still the same? 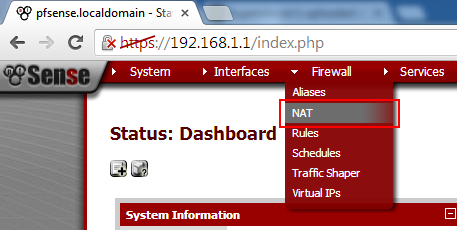 If you do not have any unassigned interfaces there is no add button presented. 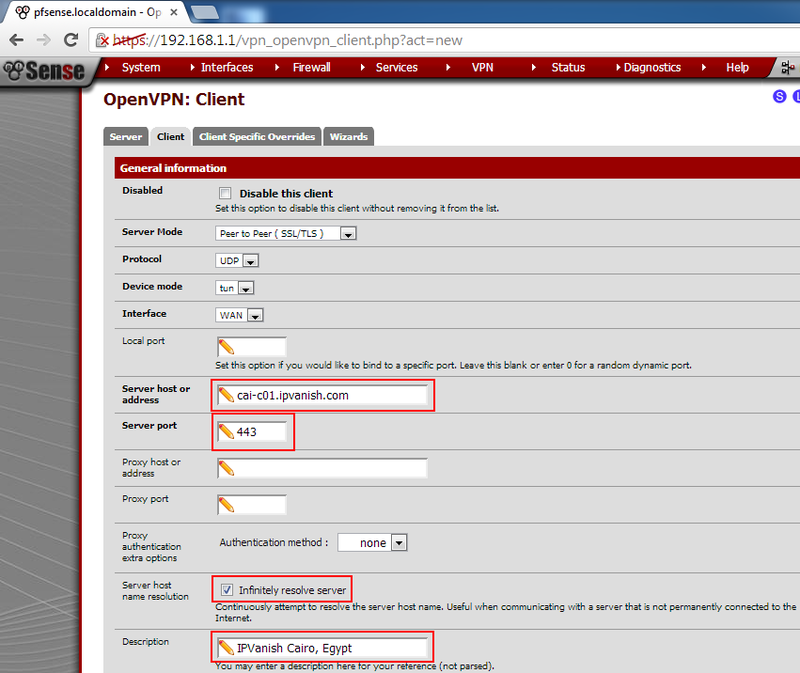 Create your OpenVPN client instance first. Agreed. 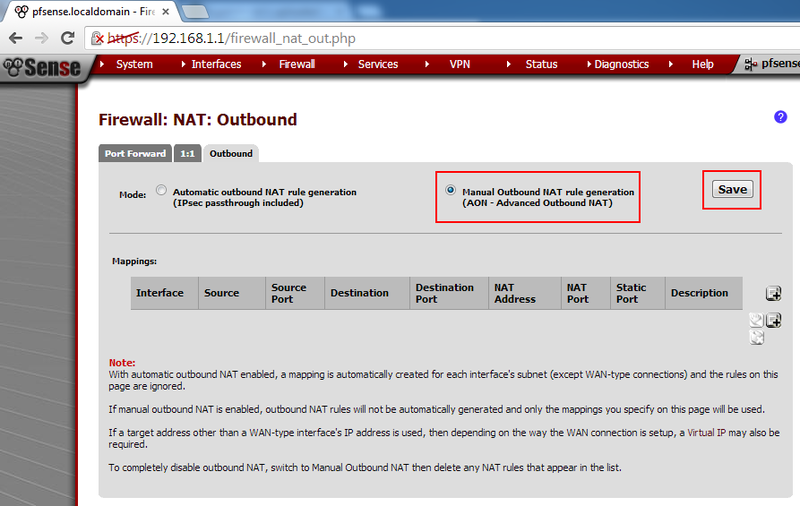 I did this in the altered order suggested and it worked - although the auto-created rules didn't get made in the Firewall:NAT:Outbound section. I created them myself though (as close to the examples in the post as possible) and everything appears to be working. 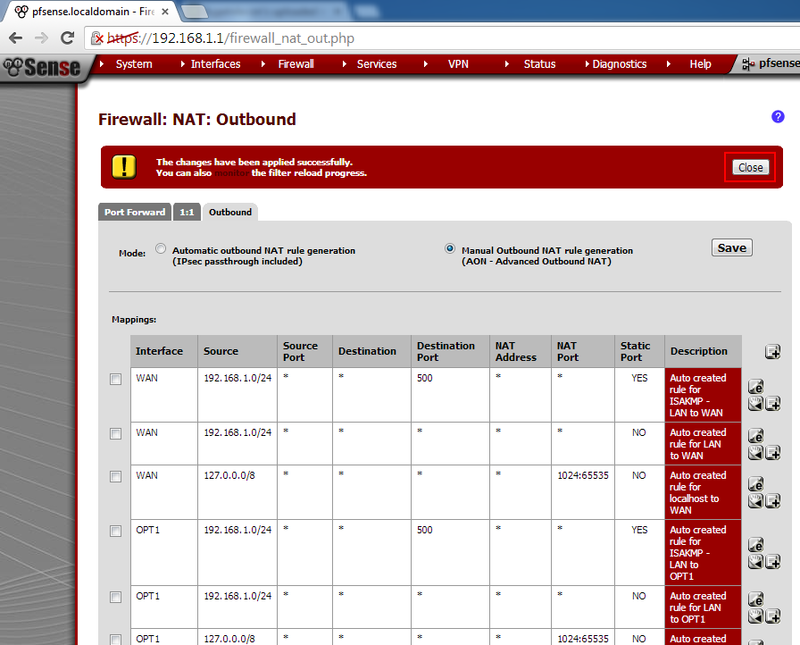 Also did a test through www.ipleak.net to see if it was leaking dns - no dns leak either. Pretty impressed! I'd previously tried a number of other devices for this kind of setup and none worked exactly right (or none of them had write ups/openvpn capable). This one is working exactly as expected and took me all of 20 mins max to get installed AND configured. Ack…spoke to soon. Worked fine for a month or so...now completely not functional. Nothing changed, although for some reason the openvpn service went down and now (although restarted) won't get an IP address from the ipvanish server side. Anyone have any ideas on a fix? Sounds like a problem with IPvanish. Have you called them? No not yet. Thinking it's something specific to the config/settings and might just reset them first and try again. Ok, following what was in this thread, but without ssh or other checks - shutdown the whole machine (previously rebooted). 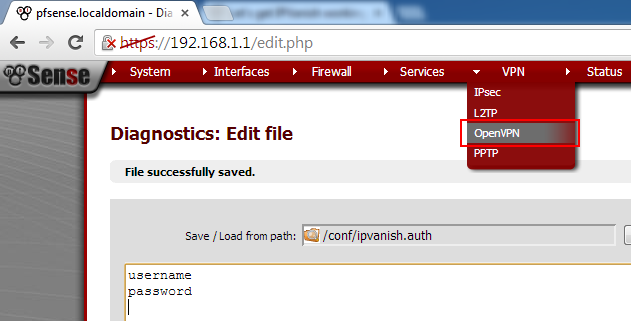 Modified the /conf/ipvanish.auth file with updated credentials. 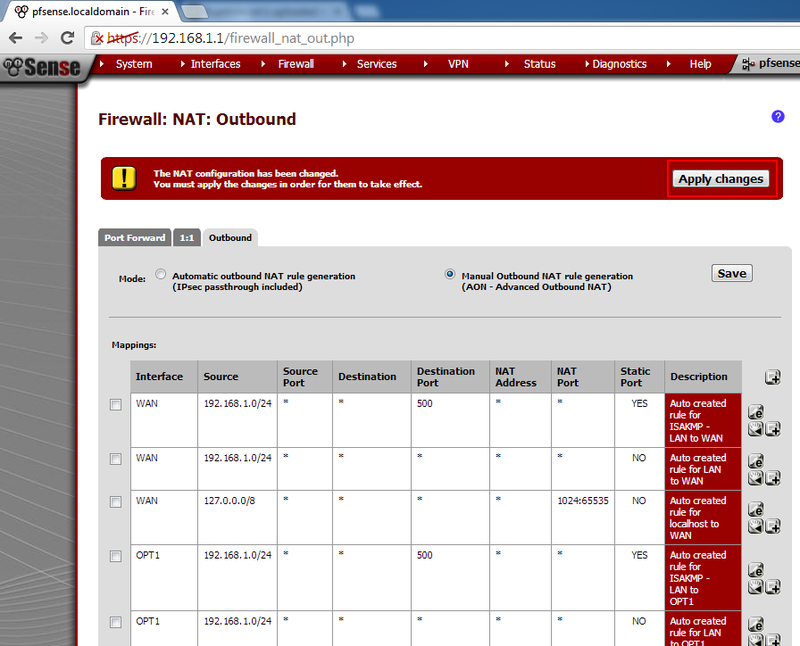 Restarted Openvpn services. 2 Services wouldn't start automatically (NTP and one other I can't remember) - started them manually. Connection started working after this. I'll keep monitoring. Considering it's been running for a while (about a month or more) without a complete shutdown, this could be something that needs scheduling in. Your walk through is old. You don't need an auth file any more. 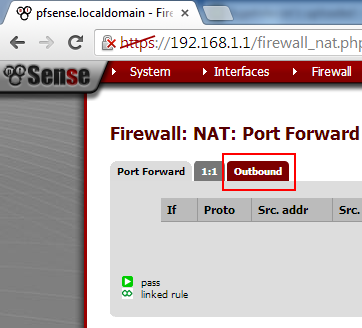 There's a place for username and password in the pfSense gui now. Would a CPU with AES-NI instructions help with this configuration?